Over the past few years, I have been doing a lot of reading over which sweeteners are the healthiest for you. Although there is always some debate, it is obvious to everyone that refined white sugar certainly is not one of them. In my challenge to eliminate the use of white sugar in my kitchen, I’ve tried just about every “healthy” sweetener on the market including organic honey, maple syrup, coconut palm sugar, brown rice syrup, agave syrup, and sucanat. Although all of these sweeteners are certainly better for you than white sugar, I found that each of these worked better in some recipes than the others. I recently have been reading more and more about date paste, and decided to give it a try. I made up my first batch of date paste using Medjool dates which apparently are the preferred date in this natural sweetener. The dates are pitted, soaked overnight, and then are tossed into a food processor along with the soaking water and are pureed until smooth. I did discover that my local health food store does sell prepared date paste in jars, but homemade is always better, especially when it is this easy! 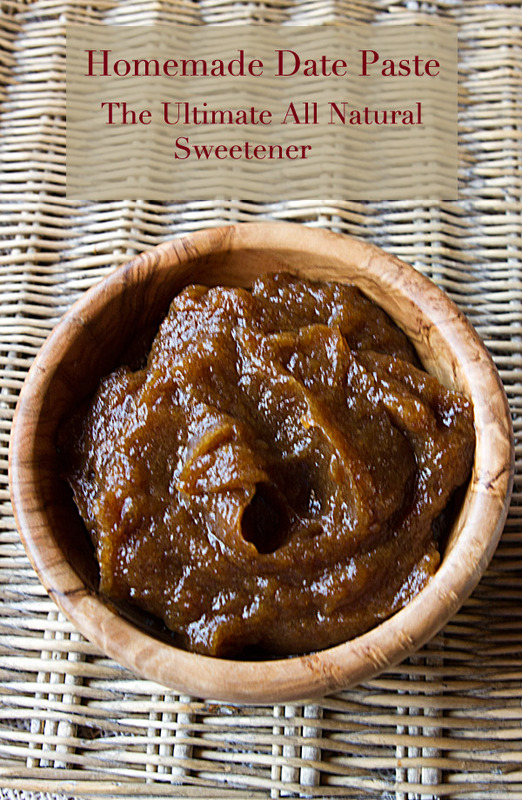 I have made a number of baked goods using date paste, and I am officially hooked, and is now my favorite sweetener of choice. The paste adds a subtle sweetness that is delicious, and the paste can be used in everything from smoothies to pies. 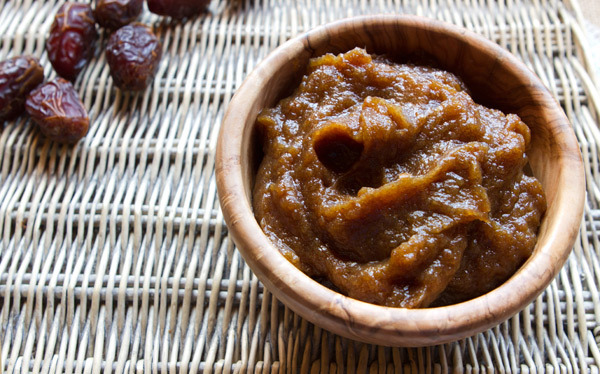 Date paste can be kept in the refrigerator for up to a week and frozen for up to three months. I found it best to simply divide the paste up into and to freeze in individual Ziploc bags to use as needed. After my first batch, I now make a double or triple batch to ensure I have paste unhand when needed. The easiest way to begin using date paste is to substitute it for the exact amount of liquid sweeteners such as maple syrup or honey. I am now experimenting using date paste in place of white sugar in recipes, but that does take some experimentation as the ratio of dry ingredients to wet does change. I will be posting these new recipes using date paste as I test them to my satisfaction. I have found that date paste works extremely well in recipes that include fruits such as apples and bananas, or in baked good including vegetables such as carrots or zucchini. I find the date paste does thicken and may darken slightly when stored in the refrigerator, but that does not affect the flavor at all. Dates are rich in several vitamins, minerals and fiber too. They contain calcium, sulfur, iron, potassium, phosphorous, manganese, copper and magnesium which are all beneficial for health. Date paste is an all natural, plant based sweetener. Place the dates in a large glass jar with a lid and add the water. Shake well, and let sit overnight. In the morning, place the dates and soaking water in a food processor and puree until very smooth.